Add a dramatic touch to your indoor or outdoor space with the Jak Wicker Side Table in Pebble. The softened grayish brown tone creates a subtle variant to porches, living rooms, and yards without being too serious. The Jak Side Table comes in four different colors making it easy to mix and match to create a versatile space. 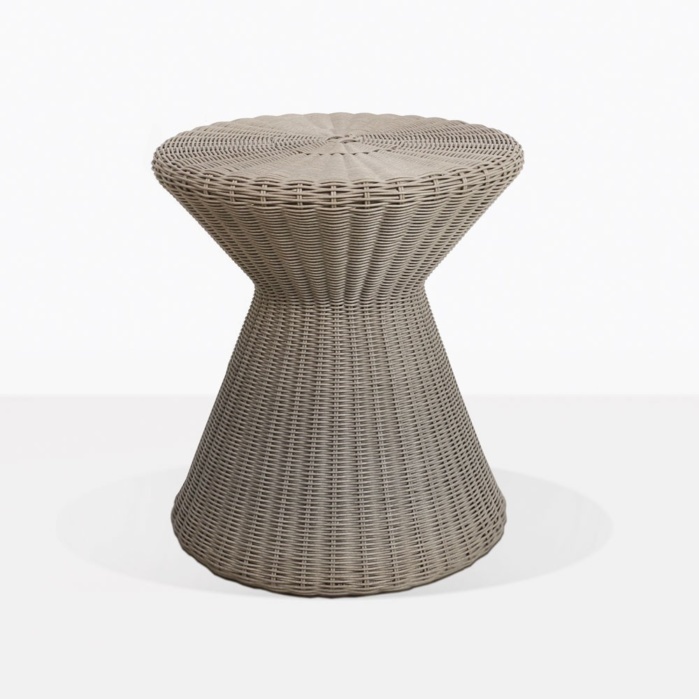 Made with synthetic wicker throughout the entire piece, the uniformity of this side table is uniquely cohesive allowing it to translate to any space. 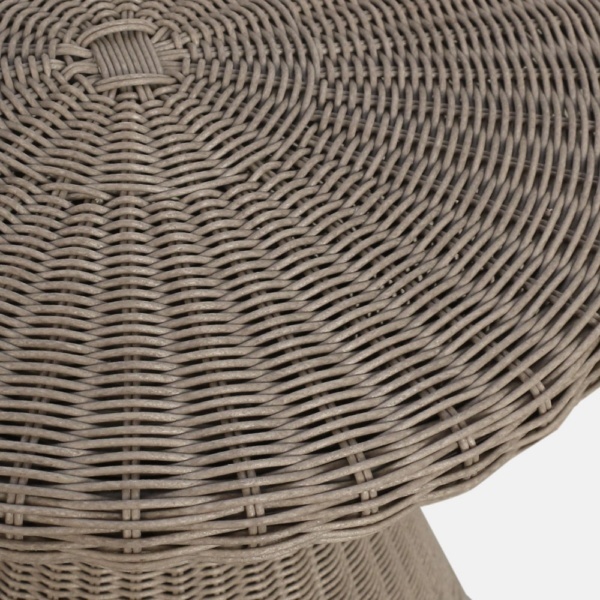 The wicker we use is of the highest quality and is UV and weather resistant, providing years of enjoyment to your space. 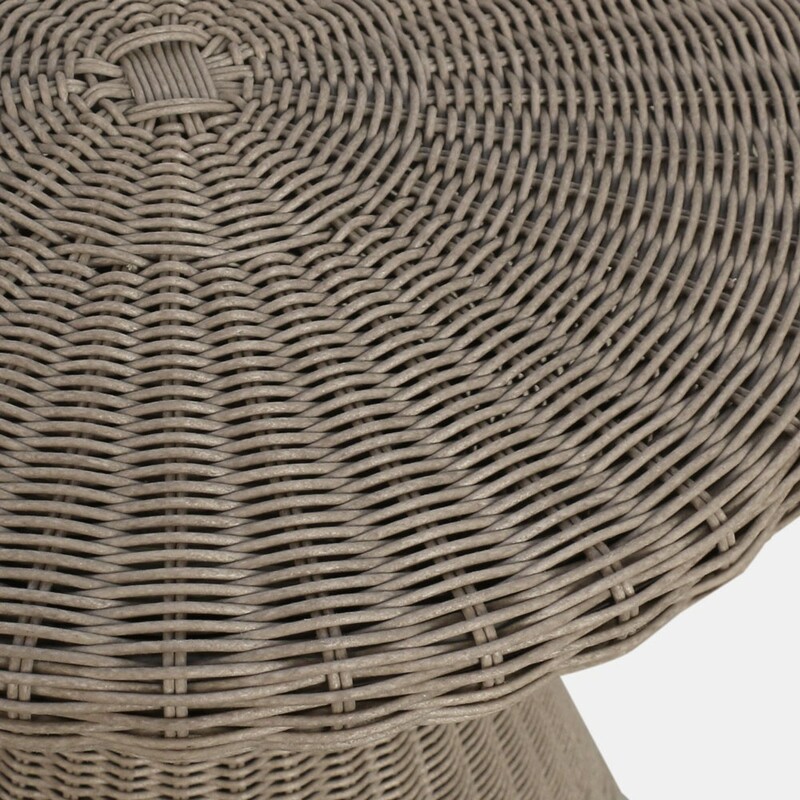 The serene neutrals of the Jak Wicker Side Tables look great with many of our other wicker pieces or alongside pieces from the concrete collections. Let your creative gestures free! Get started today, and plan your new outdoor living space.